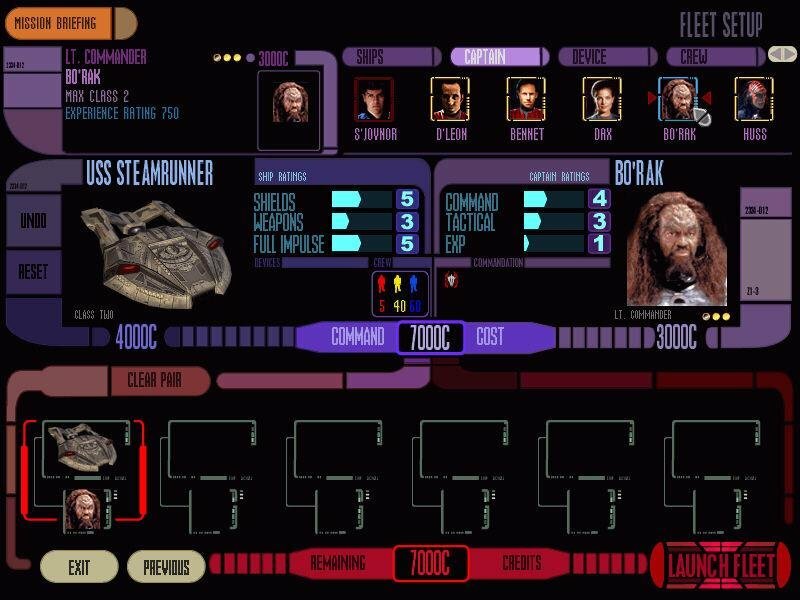 Deep Space 9: Dominion Wars Wars takes its story from Deep Space 9 the TV series, where the Federation, Klingon and Romulans fight for control of the Alpha Quadrant against the Dominion Alliance. 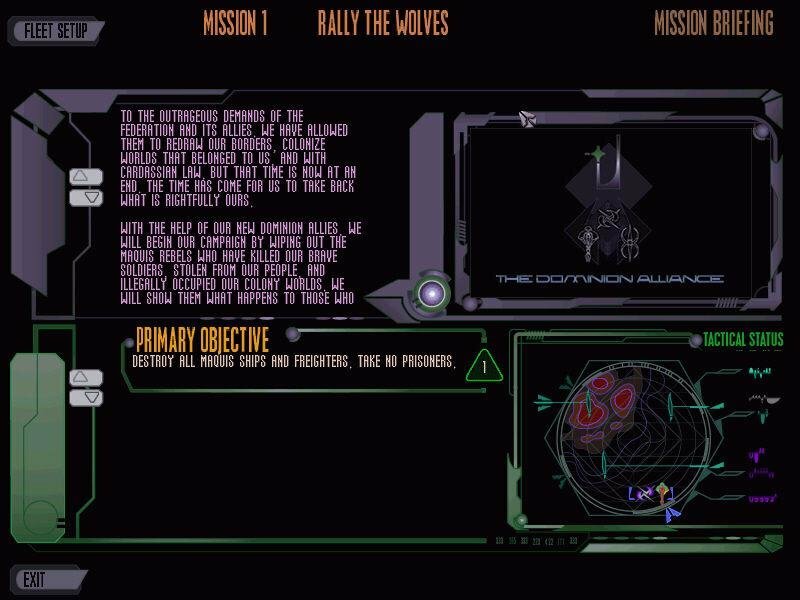 The offering gives you the chance to engage in combat situations actually seen on the small screen, where you can play out your fantasies to see what would happen if you were in charge. 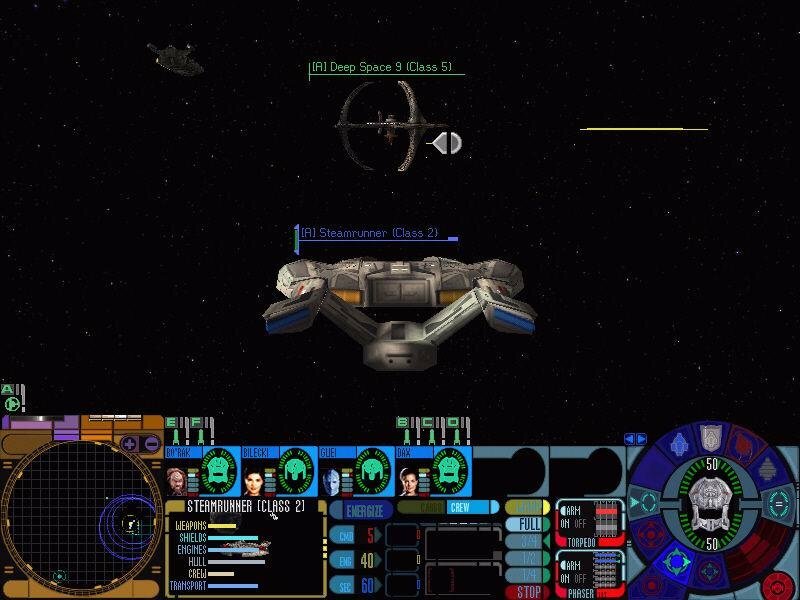 The space station Deep Space Nine is located at the entrance to a wormhole connecting the Federation’s Alpha Quadrant to the Dominion’s Gamma Quadrant. 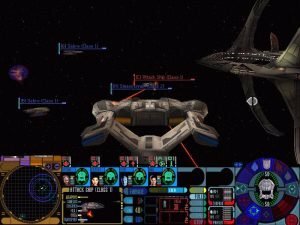 The motive of the Dominion Alliance in launching, at times covertly, an all-out assault is ultimately to conquer the entire Alpha Quadrant. 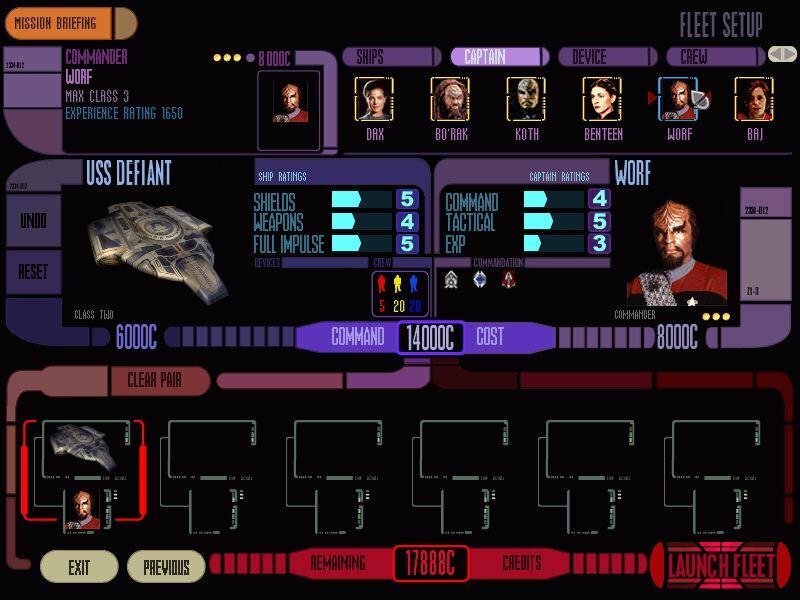 Dominion Wars, a strategy game with a clear emphasis on action, lets you to play as the Federation or Dominion sides, controlling up to six ships in the process. 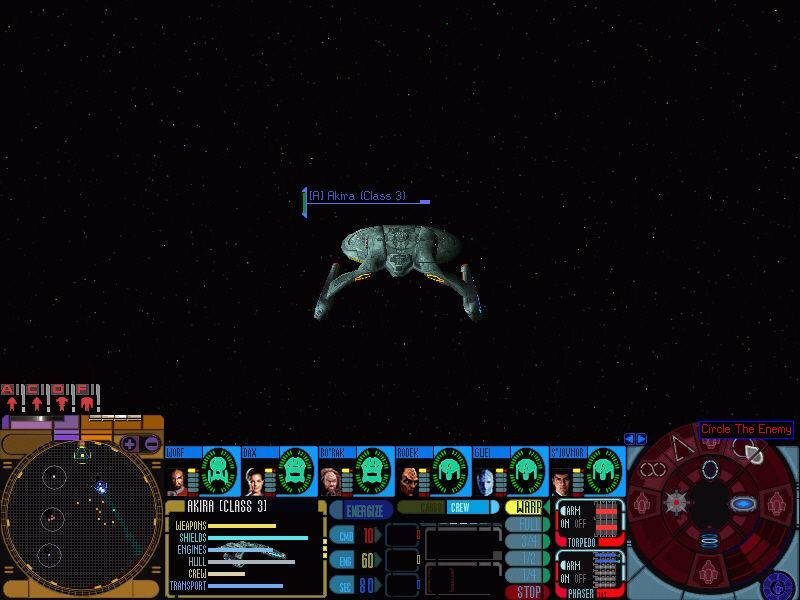 The vessels from numerous different starship classes are associated with fighters from the Federation, Klingon, Cardassian, and Jem ‘Hadar races. 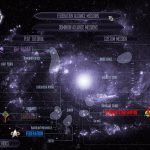 Many of them are straight out of the TV series, and those that do not still look believably Star Trek DS9. You may recruit captains and determine the ship crews through the use of a credit system, with quality personnel needed to manage quality vessels. 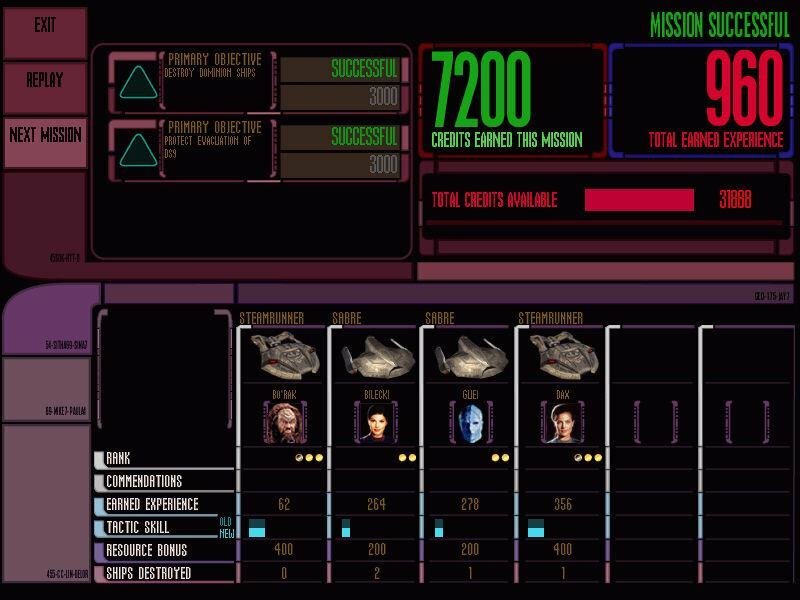 Dominion Wars lets you progress through 20 missions, rather than through geographical areas, and each earns you credits for buying better captains, crew members, shields, ships, and weapons. How well you do in one mission determines how much you have to spend upgrading personnel and equipment before the next one. 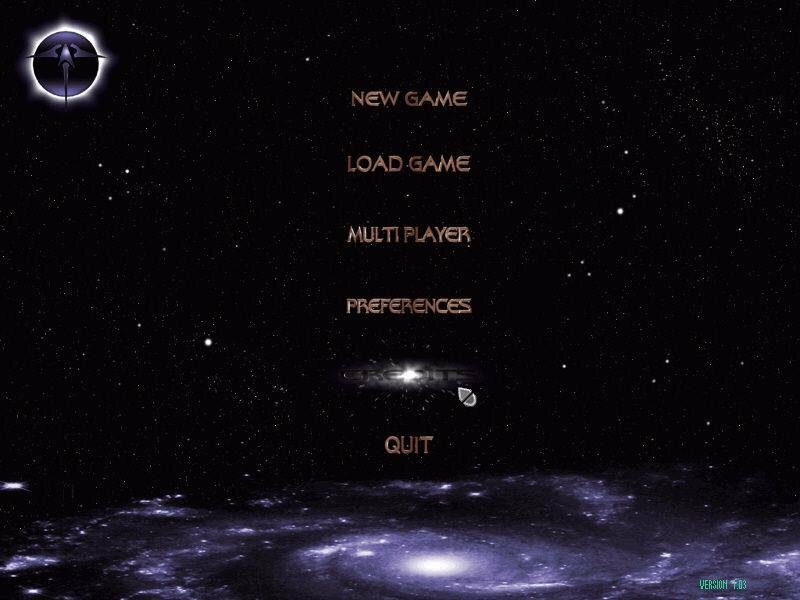 Some of the missions are quite challenging, as you may face overwhelming numbers of foes in battle. 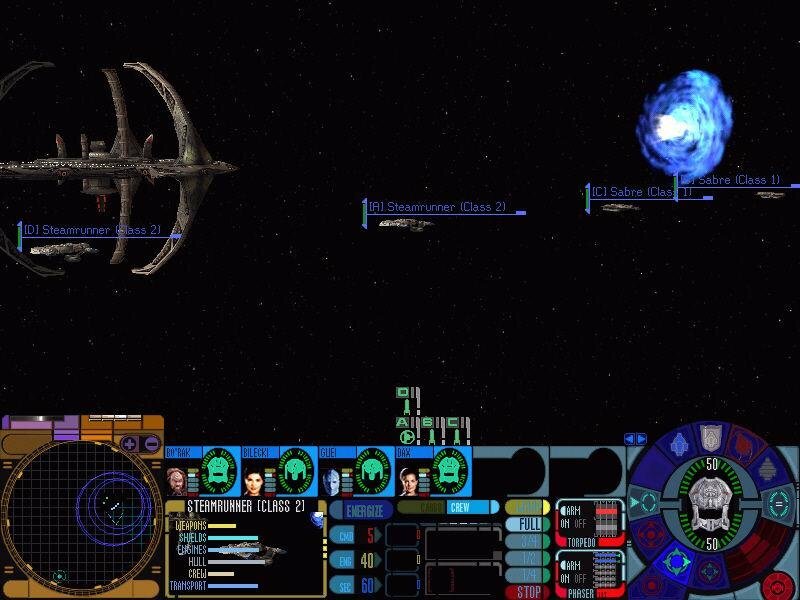 Because the credit system prevents you from building up an invincible armada of your own, the game can get challenging. 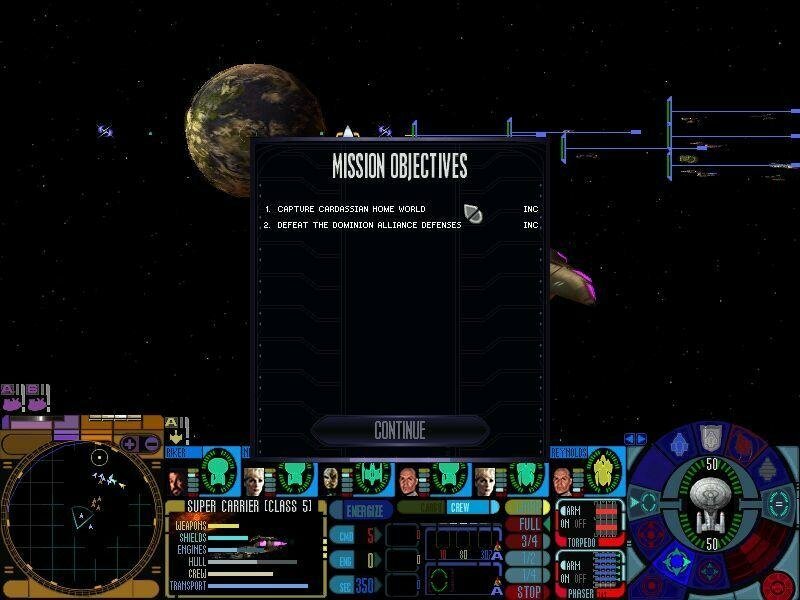 Each mission has multiple objectives, but sadly going through them is a relatively linear experience, as you have to complete them in order and repeat them endlessly if you fail. 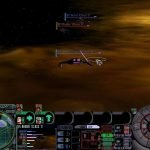 In most missions you spend your time fighting and obliterating your foes, though admittedly with different motivations for doing so. As a result, the variety ends up being quite constrained. Indeed, there is a strange sense of emptiness or something being missing from the overall excitement of Dominion Wars. Allied ships never scream in panic to tell you they are subject to devastating attack, and adversaries remain mute even when they manage to destroy you. While there are a lot of fascinating alien races present — including the Breen, Cardassians, Federation, Ferengi, Jem ‘Hadar, Klingons, and Romulans — the characters lack personality, and so you never get drawn into emotional involvement with their fate. 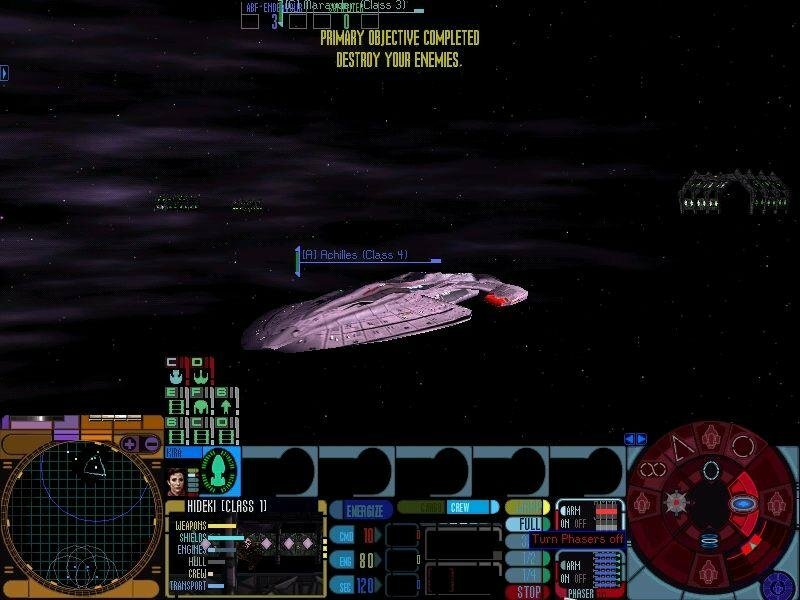 Moreover, the pre-mission briefings are not that engaging, and you almost lose your motivation to defend the Alpha Quadrant. 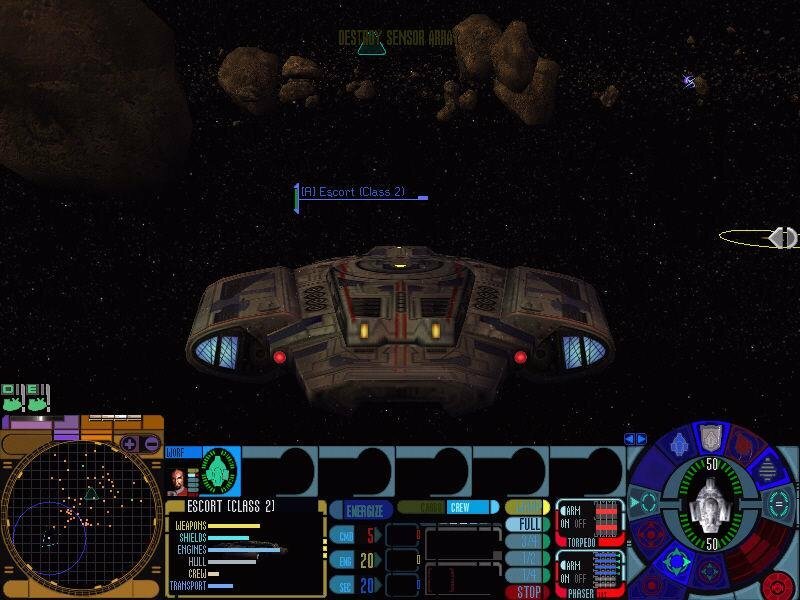 For a tactical strategy game, the action is kept somewhat light. 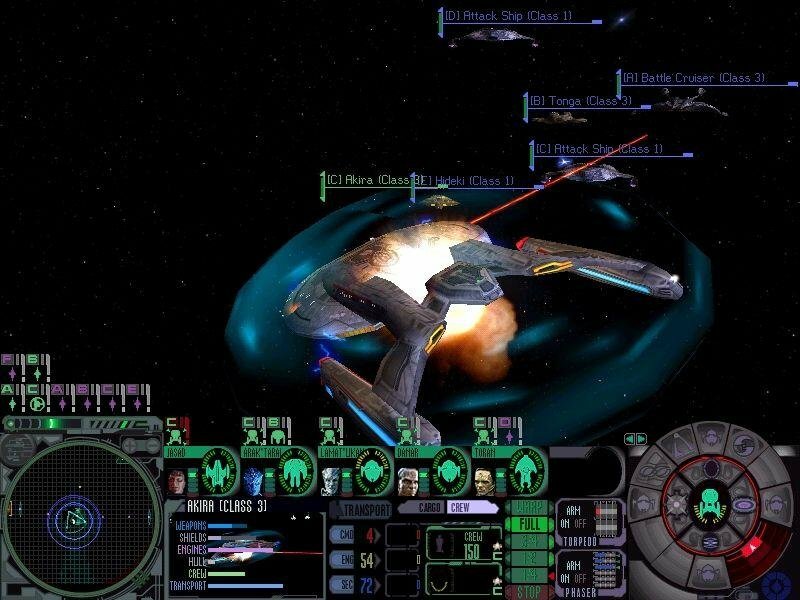 You mostly have to resort to figuring out ways to outgun your adversaries with more ships, or better weapons or shields, rather than with superior tactics. 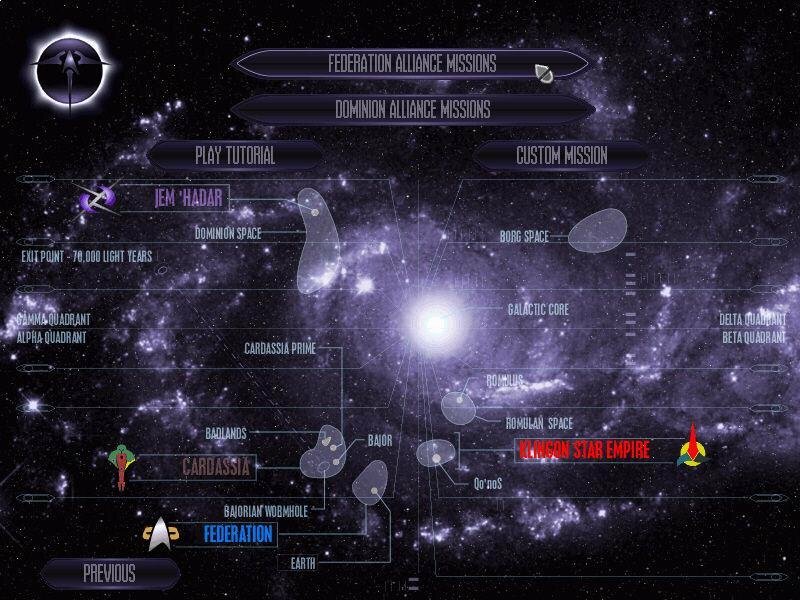 Other than placing ships in clusters and providing general directives such as where to attack first, you cannot really organize super complex attacks. 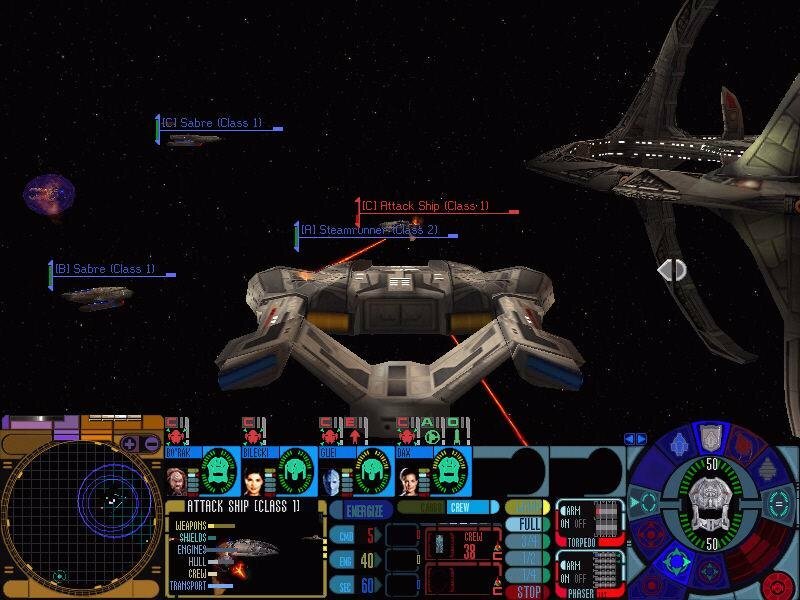 Prior to missions, you simply buy what you can with the credit you have; and during missions, you simply engage in ship-to-ship combat. 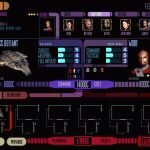 Make no mistake here – this isn’t an extremely complex Star Trek tactical game, but rather one for tailor towards beginners of this genre. There is no resource gathering and no base building whatsoever. 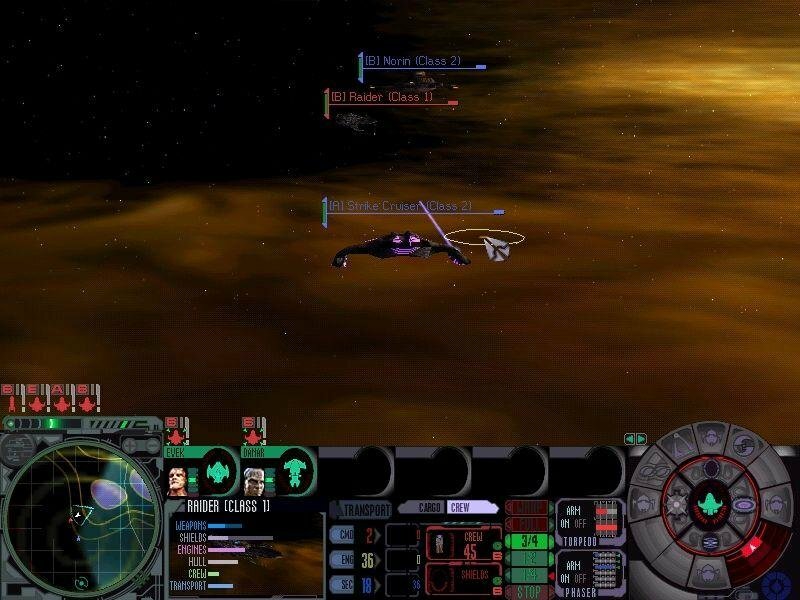 Combat is relentless and intense, if not particularly fast-paced due to the slow ships and weapons. The resulting action is good and enjoyable in the long run, if not particularly jaw-dropping.